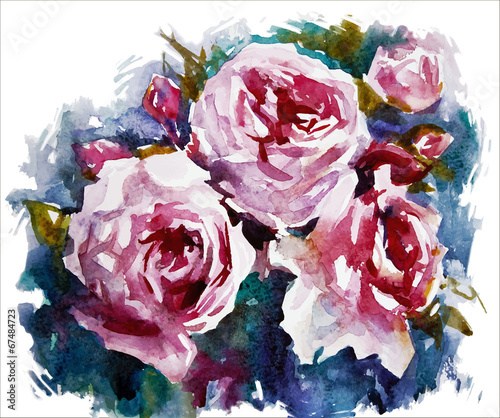 watercolor roses. A bouquet of flowers painting. Vector EPS 10. Fototapete: watercolor roses. A bouquet of flowers painting. Vector EPS 10.